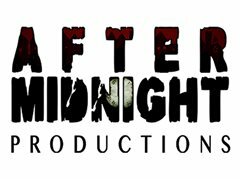 After Midnight Productions is about to begin production on its latest short film; we have a wide range of roles available suitable for any age and gender (18+). The film is scheduled to begin principle photography on Sunday the 26th of August. The production is unpaid, but cast travel expenses and lunch will be catered for. The host of the night, very camp, has an ownership over the group as he is the meeting/founder. Known to the press as The Darstardly Dogger as he kills people at Dogging Sites. Acts very motherly towards the rest of the group, often settling arguments and debates. A gruff blue collar worker, commits murder using power tools and buries victims under the patio. Known to the press as Brookside. A bit slow on the uptake. Outside of his murderous habit he is probably a lovely man who enjoys nothing more than a pint down the local and doing a spot of DIY. A Burlesque dancer and cannibal known as The Man-eater, often invites punters backstage for a private ‘session’. Once smothered someone to death in front of an audience who thought it was part of the show. Very much the archetypal cool blonde/vixen but is actually very down to earth and unassuming. Loves to chat but is a bit of a scatter brain. A dentist who kills his victims with anaesthetic. The Demon Dentist of Leighton Buzzard. Very matter of fact and literal, probably autistic or OCD. Quite distrustful and suspicious of the rest of the group for reasons only known to himself. Has very little social life outside of the group. The newbie- accidentally killed their cheating partner. Very emotional about their crime as it was done in a fit of rage and blind panic. Doesn’t feel right with the rest of the group and is dumbfounded by all their casual attitude towards murder.